How to Fix Not Working Permalinks in WordPress? Are you getting 404 error, when your WordPress permalinks are not working? WordPress permalinks are not working is a common problem. Due to any reason, this problem occurs at any time. WordPress is one of the most powerful Content Management Systems(CMS) out there. However, a slight tweak can sometimes be wrong, and your website or some permalink may not access. When you across to the WordPress site, there are a few things that are more important than permalinks. You should make sure that whenever a user clicks on a link in your web page, it must redirect where you want them to go. Is Broken Permalink a Problem? Yes, a broken permalink is a problem. In this case, your visitor cannot find the required content, which gives a bad experience to users. As well this is not good for SEO, a URL is the web address of a post or page on your site which allows readers and search engines to find your content. SEO friendly URL contains the keyword, which improves your chances to rank higher in search engines. Permalink is the full URL of your content that you see and use on your site in your posts and pages. The link to each post should be permanent that’s why its name permalink. It includes your domain name plus slug, the piece of URL that comes after the domain name. Your simple permalink makes URL easy to understand and share. That is not SEO friendly. In the above example, number 100 is the article ID in the database of your WordPress site. This URL does nothing for SEO, also not describes what kind of content in the page. What are the Symptoms of WordPress Permalink are not Working? If clicking on a link does not lead you to the desired page or post, that means your links are not working. It shows that there is something wrong with your permalink, this is the reason why they are not working. In most cases, broken permalinks are leads to a WordPress 404 Error, but some of them are exceptions. In some cases, the remaining pages (such as headers, sidebar, and footer) load, but the content is not there. Instead, you get an error message like this: Sorry, no criteria match that criteria. Now let’s look at the things that cause Permalink problems. When you install a new plugin, then it tries to deal with your Permalink, which breaks your permalink. Maybe some of your plugins conflicts with other plugins, themes, and WordPress core. If a plugin hooks to WordPress permalinks or edits the .htacces file and something goes wrong, you get a permalink error. Updates are necessary to ensure maximum security and performance of a WordPress site. It crucial to regularly update your WordPress, plugin, and themes. However, there is a chance that some updates will break your permalink thus your posts and page will not be accessible to viewers. The main reason is that your plugins, themes or WordPress version are not compatible with each other. .htaccess acts as a gatekeeper on Apache server, it performs all kind of things such as redirects, setting up permalinks and so on. When you Add custom code to file it completely breaks your permalinks. If you are not familiar with the server environment and deletes the file by mistake, then it also affects your permalinks. When you migrate or restore your WordPress website to a new server, then your permalinks will not work in properly. 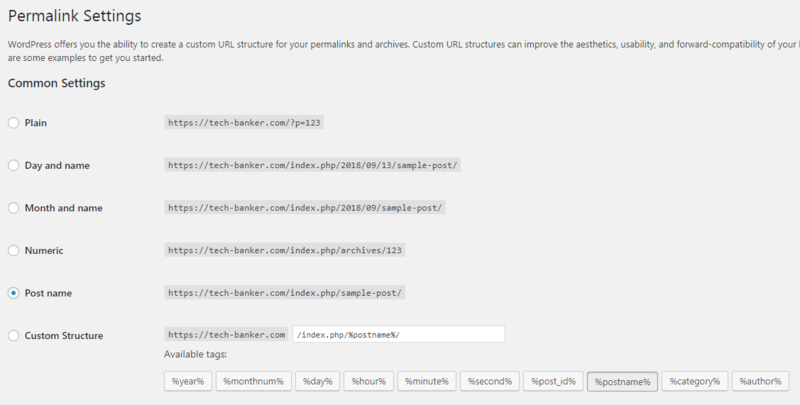 Let’s have a look on how to deal with broken permalinks in WordPress. Sometimes, a minor bug or changes in your WordPress Admin Dashboard can break your permalink. 1. Log in, to your WP Dashboard. 2. Navigate to Settings >> Permalinks. 3. Remove your Standard Permalinks Settings to any other settings. For example: if currently you have Numeric Settings then change it to Post Name settings. 4. Then Save your changes. Don’t refresh your site there is one more step. 5. Now, select back your Standard Permalink( Numeric ) again. 6. Click on Save Changes button once more and reload your site to check. Is the problem gone? If no, then move to the next method. Confliction between the plugins may also the reason behind the breakage of permalinks. How you troubleshoot those plugins which conflict with each other? When the problem arises after installing a particular plugin, the most reliable solution is to deactivate that plugin. Reset your permalinks as we just learned in the above section. Refresh your page to see the error is gone. If yes, Now you know which plugin generating the problem. If you still facing the problem, then deactivate all plugins at once. 1. After Log In WordPress Dashboard, Go to your Plugins Section. 2. Click on Checkbox to perform Bulk Deactivate action. 3. 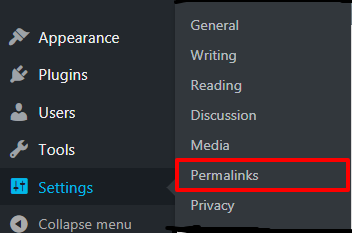 Go to Permalinks Settings and Reset the settings and Save Changes. Now, try to access the page. If you succeed, to fix the issue then activate all plugins one by one. You have to reset the permalink settings with each activation to find out the culprit plugin. And contact the support of culprit plugin ask them to fix the error. In the case the above two options are not working for you then the issue relates to the configuration of your .htaccess file. To check that it is the cause of WordPress broken permalink you have to rename/disable your current file and replace with the default code of WordPress .htaccess file. 1. In your Control Panel, locate to File Manager to access the file. 2. Go to Root Folder, .htaccess file locates in the same location where /wp-content/ and /wp-includes/ are located. 3. Click on Rename and Enter the new name in the pop-up to disable the file. 4. After that Create a new .htaccess file. 5. Copy and Paste the below code in the newly created file and Save it. Reload your posts/pages and check whether the permalinks are working. Are your WordPress Permalinks still not working? You have to clear your browser cache using the key combination ctrl+F5. Note: Don’t change your Permalinks because it creates a problem when you redirect your old URL to a new URL, and also dropped your ranking. Please think once about your permalink before launch. We hope this article helped you to fix broken permalinks on your WordPress site.